The Biggest Day Party w/DJ DRAMA! Super Bowl Weekend the biggest DAY PARTY is going down with DJ DRAMA & MYA and the cast memebers from LOVE & HIP HOP and over 10 confirmed NFL players. 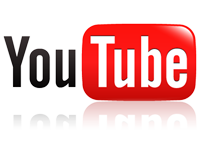 Be the first to know of upcoming LIQUID Events and VIP info for all our events and more. 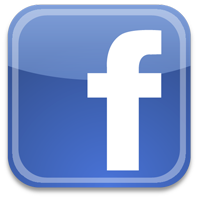 Register today to receive emails or sign up to be alerted on your mobile phone. 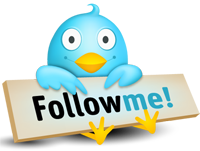 Follow us also on the following sites! 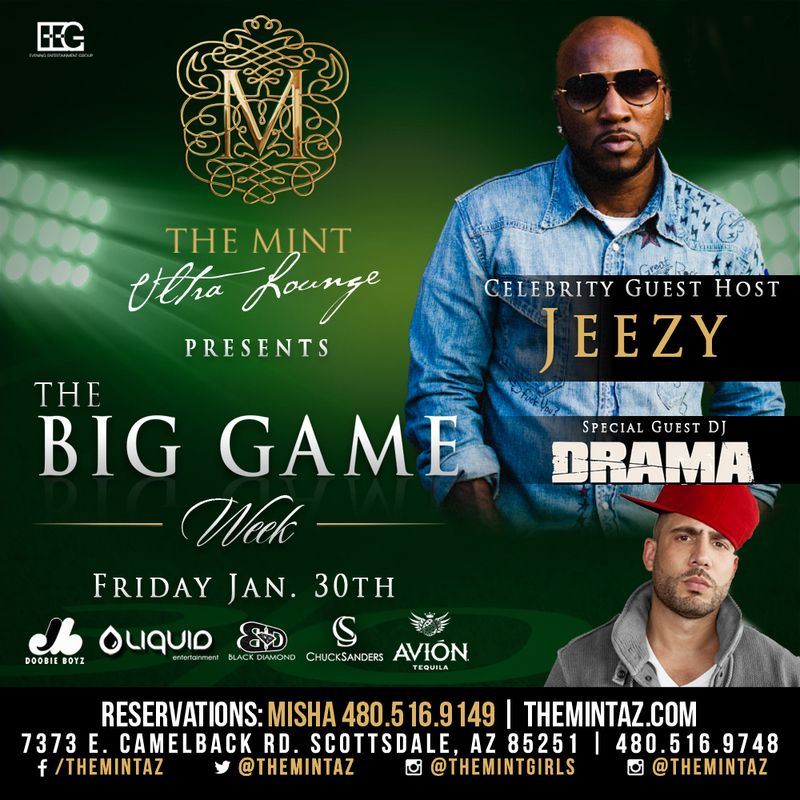 Speical NFL Super Bowl Kickoff Party hosted by the one and only YOUNG JEEZY & DJ DRAMA along with all their celebrity friends, plus a host of NFL, NBA & MLB players! Advance Tickets On Sale Now click here. Doors open at 9pm!! 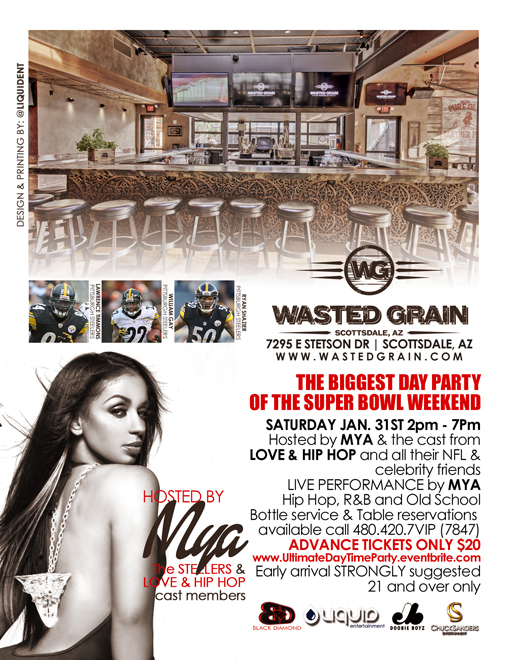 The Biggest DAY PARTY Super Bowl Weekend w/DJ DRAMA & MYA! Super Bowl Weekend the biggest DAY PARTY is going down with DJ DRAMA & MYA along with the cast memebers from LOVE & HIP HOP and over 10 confirmed NFL players. Doors open 2pm until 7pm!! Make It Nasty SATURDAYS Stripper Bowl Edition Saturday night 8pm until 6am! The ONLY place to be on Saturday night Super Bowl Weekend with over 100 of the sexiest entertainer from across the nation on duty! Early Arrival STRONGLY Suggested. Reduced cover before 11pm. Advance Ticket Available NOW click here. Doors open 8pm til 6AM!! 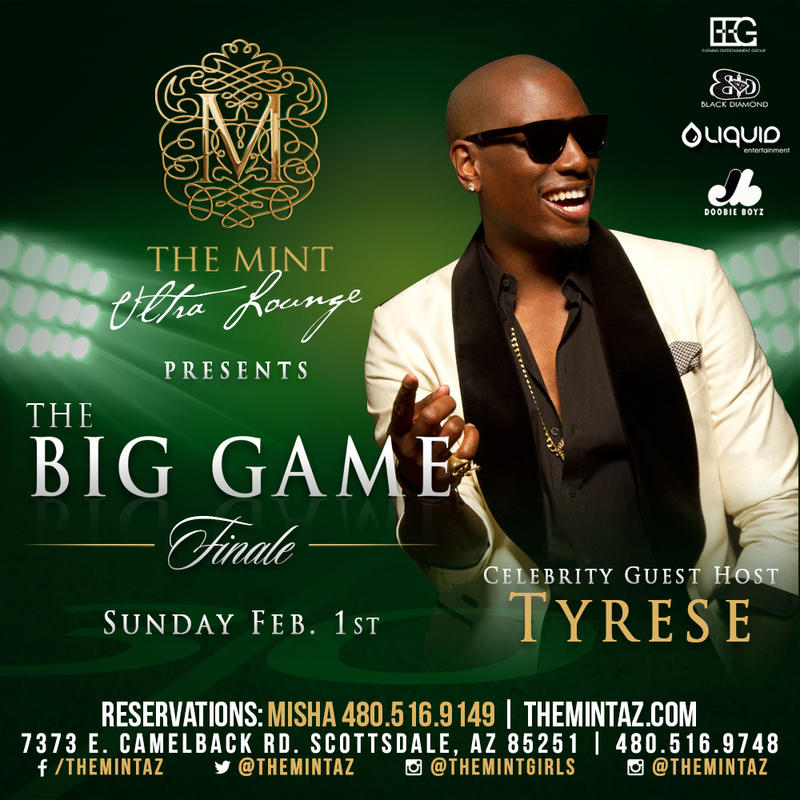 The Biggest Party of the entire Super Bowl Weekend hosted by TYRESE along with all his celebrity friends, plus a host of NFL, NBA & MLB players! Advance Tickets On Sale Now click here. Doors open at 9pm! !